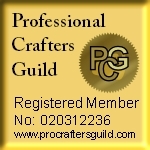 Antique gold handmade 6" sq. blank card with rose and butterfly motif. 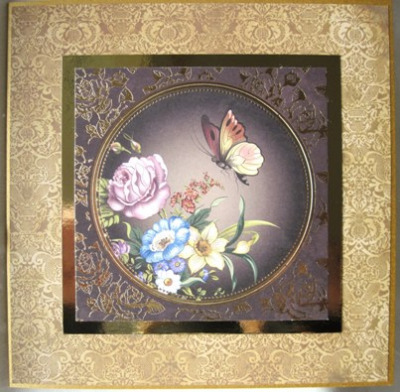 This sumptuous and elegant 6" (144cm) square gold pearl card has a central circle floral motif of a floribunda rose with butterfly matted onto gold mirror card, which is then layered onto n antiqued gold background. The motif is surrounded by chocolate and gold roses design.